The L300 Low Air and Alternating Pressure System uses low air loss combined with alternating pressure therapy to manage and treat pressure sores. The 2:1 pressure relief therapy features a layer of static air cells and alternating air cells that divide the mattress between an upper and lower area. The lower area provides constant static support while the upper area alternates in pressure. This way, 1/2 the body receives pressure relief at all times, as the other side is supported. The pump is user friendly and allows the caretaker to adjust the firmness and softness of the mattress to one of five customized pressure levels. It includes the ability to change and adjust the mattress cycle times from 10 minute, 15 minute, or 20 minute alternating cycles. The adjustable cycle stimulates blood flow at various intervals, to maximize pressure relief and manage pain. 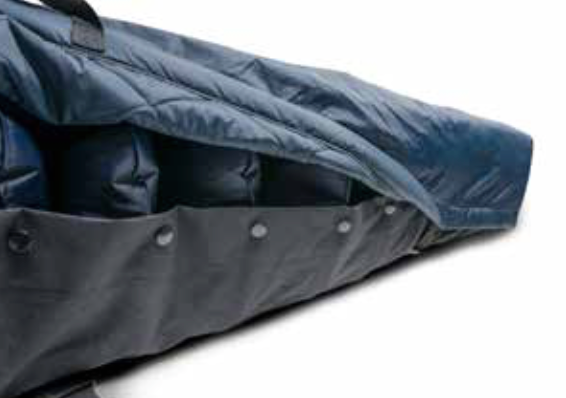 This alternating pressure mattress is designed for treatment and prevention healing up to stage 3 bed sores. 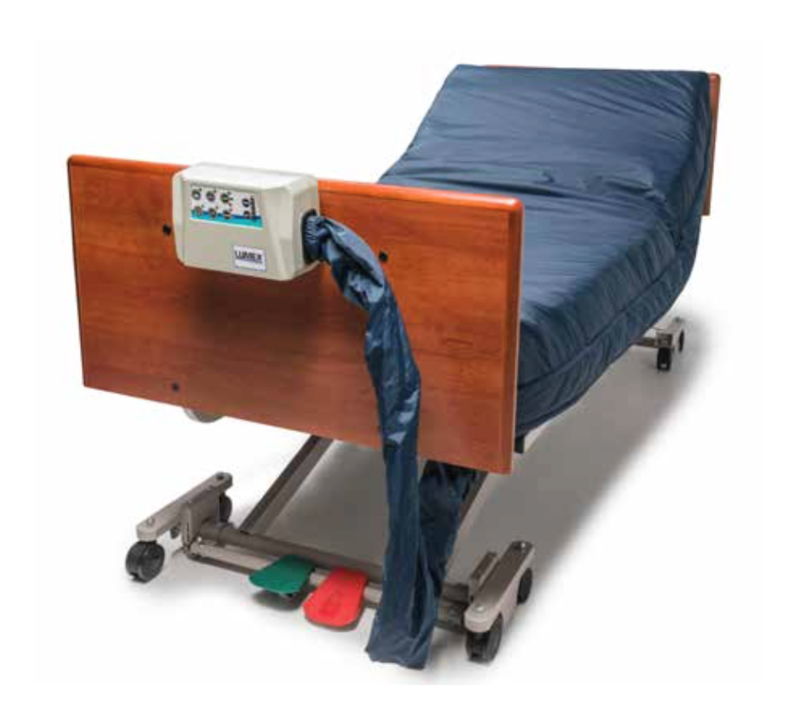 Size: 36" x 80" x 8"
Fits easily over a standard hospital bed frame. 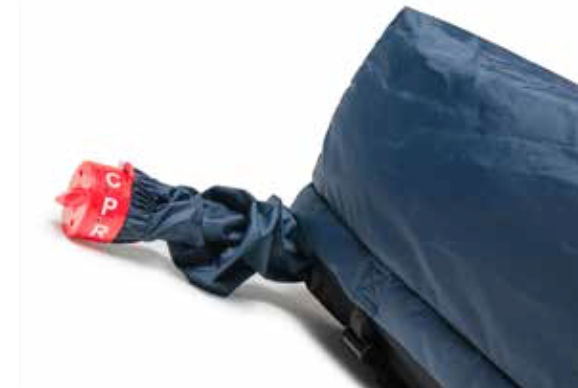 Static Float Mode to help the patient safely transfer in and out of bed. � Size: 36" x 80" x 8"